Does the Bank or the Consumer File the Charges in a Credit Card Fraud Case? In a case of credit card fraud, both the bank and the consumer play key roles. The bank is the entity that officially files credit card fraud charges, as it is the injured party directly. However, it’s the consumer who may file the initial police report and may be asked to take on a role in moving the case forward. The bank's role is to file the credit card fraud charges, while the consumer can file a police report and assist the bank and law enforcement as necessary. Credit card fraud covers a wide range of infractions. On a basic level, it’s the unauthorized use of a credit card, whether it’s by a thief stealing your identity, a family member or friend slipping the card out of your wallet hoping you won’t notice, or even a card holder who charges items he knows he can’t afford. When the fraud is discovered, the bank typically initiates prosecution to recover the amount it stands to lose from the criminal acts. A bank generally files charges in a consumer fraud case because it is ultimately the entity suffering the direct financial loss. According to federal law, banks can’t charge the consumer more than $50 for a credit card that’s been used unlawfully, and many waive even that small charge for a legitimate case of fraud. Therefore, because the consumer hasn’t suffered financial injury, he generally lacks the standing to bring charges. A less-direct impact on the card holder would be a dent in credit history or score if the fraud somehow was reported to the credit bureaus mistakenly. If you don’t think your bank is moving fast enough, or if it requires some documentation to proceed, some jurisdictions allow you to initiate an offense report with the police department. This gets you on record as saying a crime has been committed, though it’s unlikely to lead to prosecution on its own. Instead, the police write up your accusations, and the bank or financial institution that suffered the loss can contact that department to get a copy. Can You File a Civil Lawsuit on Someone for Opening a Credit Card in Your Name? Can I Be Arrested for Fraud if I Took out a Credit Card in My Dad's Name Without Him Knowing It? The bank may insist you take the initial action if the credit card fraud was committed by someone you know. 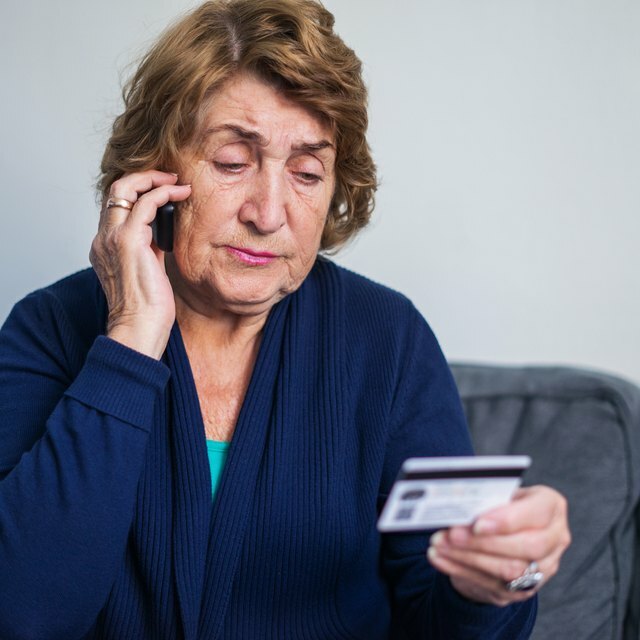 If you call them up and say your friend used the card without permission, or your sister took it out of your wallet to shop online, the bank may assume that you’re trying to pull a fast one and get out of your obligations. Contacting the police to document your charges shows you’re taking the actions seriously, which may inspire the bank to follow suit. A bank will only file charges if it suffers financial loss. That means if the fraud were committed by someone you know, and you would so kindly like to keep him out of legal jeopardy, you can settle it privately by having him pay you the money he stole and using that to pay off the credit card company. Be careful before choosing this option, though. Unless you pursue the fraud charges, any derogatory information that results will remain on your credit report. It also leaves others vulnerable if the thief doesn't learn from this experience and defrauds someone else later.